Fantastic corner lot! Zoned General Commercial. with over a half acre (24,543 sq ft) of prime development. High visibility hard corner lot, major arterial location, corner will be a major intersection and will be signaled by late summer. Across the street from Vibrant Stater Bros center with Mc Donald's , Miguels, Auto Zone. There is an additional parcel adjacent to the property for sale by a separate Broker if you need more square footage for parking etc. 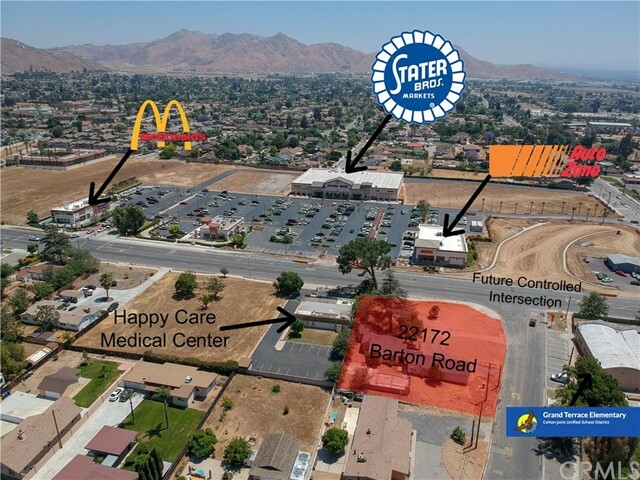 Very close the I-215 freeway on/off ramps, This is a prime property and ready for development!